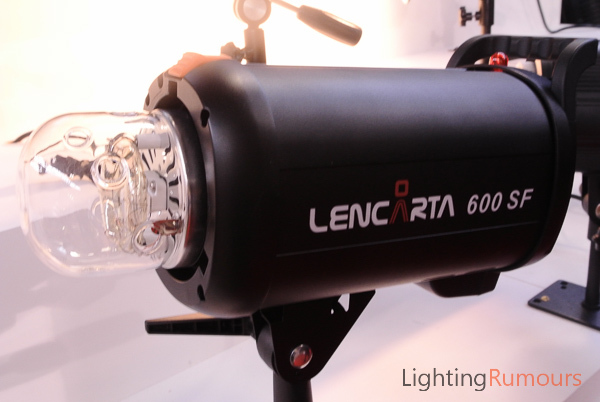 Lencarta announced two lines of photographic lights at the Focus On Imaging 2013 trade show last week. 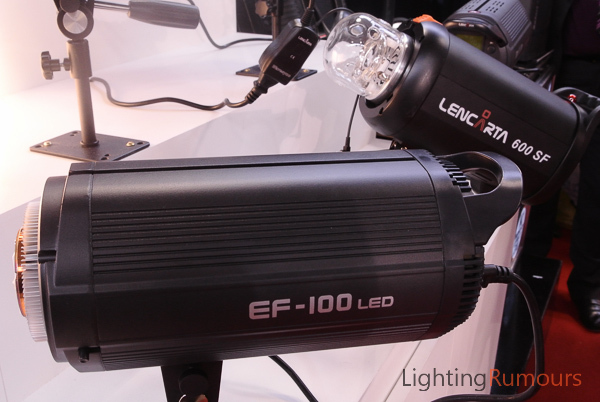 There is a new range of IGBT ‘SuperFast’ (SF) monoblocks and a Bowens-mount LED continuous lighting head, the EF-100. The premise of the new SuperFast flash heads — comprising two models: 300 SF and 600 SF — is that the flash duration gets shorter as the flash power is turned down, much like a speedlight. At lower power levels (which are still reasonably bright, if you consider that the top-of-the-line model is 600 Joules) this enables a photographer to freeze action in high speed, scientific and sports photography. Need a more illustrative example? Here’s a model being splashed with milk. Loyal Lighting Rumours readers will recognise the SF lights as elements of Godox’s lighting forest shown on our Facebook page. Lencarta’s Garry Edwards admitted to Lighting Rumours that these high speed flashes are indeed manufactured by Godox, and Lencarta haven’t made any changes inside because they are “damn near perfect”. 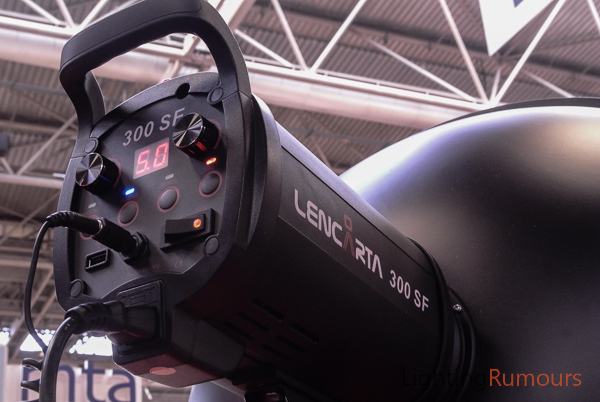 Edwards writes a bit more about the lights on the Lencarta blog. These flashes can be adjusted remotely from the camera position using the same wireless trigger as the Godox Witstro system (which Lencarta is not distributing in the UK — not yet anyway). Speaking to company staff, all indications are that you will be able to buy the remotes soon, but they are not yet listed on the web site. The other new product exhibited at Focus was the Lencarta LED 1000, a 100-Watt LED lamp with a Bowens mount, enabling photographers to move from flash into continuous lighting (for stills and video) without having to shell out on a whole new studio’s worth of light shaping tools. As well as a dimmer on the back, there is a wireless remote control to adjust the power level. For a full review of something very similar (whether it is identical or not, we can’t be certain), read our Jinbei EF-100 review by Eduardo Frances. When asked if they had any new products in the pipeline, Garry Edwards said: “We have a three-month catalogue this time”. He did not give further details on what we can expect to see after that, but it implies there is more Lencarta equipment to be announced in May–June 2013. 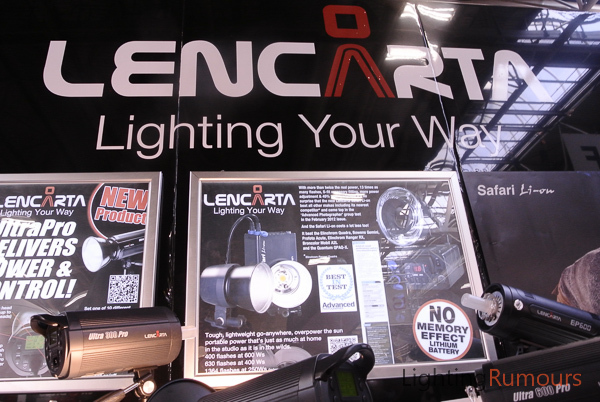 Lencarta sells directly from their web site as well as through a UK distributor network and Lencarta Benelux in The Hague. 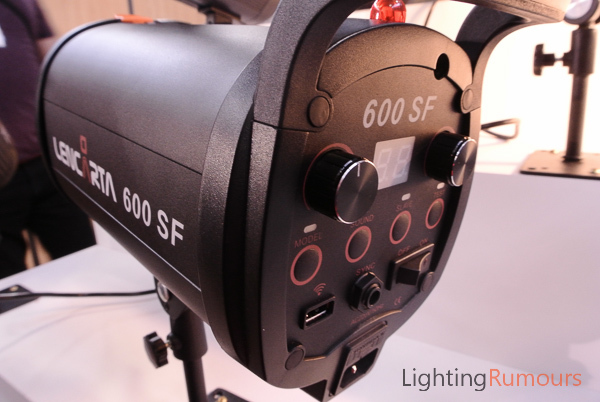 The SuperFast flashes are priced at £349.99 for the SF 300 and £399.99 for the SF 600. The LED 1000 costs £399.99, plus £34.99 for the radio remote.